The holiday season doesn’t lack in excess, and your makeup routine should be no different: why use one eyeshadow when you can use three? 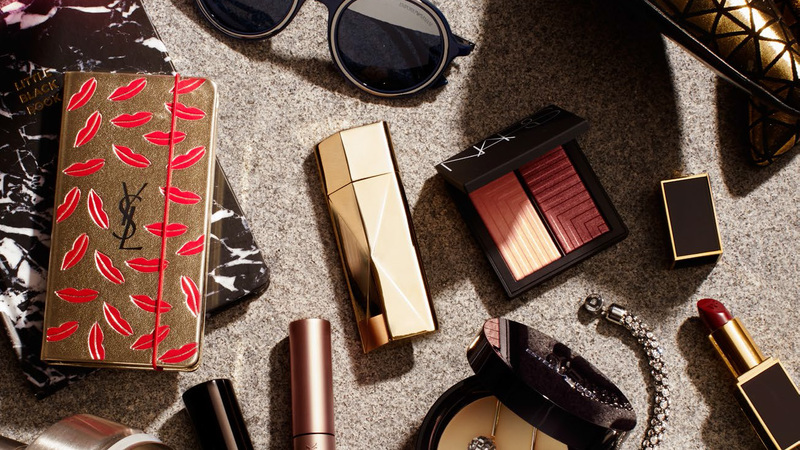 Ensuring your beauty outcome is gorgeous, reach for these palettes that cleverly combine complimentary shades and textures to create your best holiday look. Four highly pigmented and rich shadows — three of which are new and limited edition — play and pair perfectly together to create a soft, smoldering look when used dry, or a bolder, intense look when used wet. Studly, a golden brightening shade, and Stag Film, a rose-bronze, blend into a modern, glam holiday look with the deep-slate Blackmail and Subra, an ultra-flattering blackened burgundy. Bonus: this must-have collector’s palette from two of the most talented creative also includes a mini Larger Than Life Long Wear Eyeliner in Via Veneto, a classic black. This one-and-you’re-done palette creates your entire look with the tightly edited and super flattering picks. Three blushes, all variations of pink, bring the complexion back to life, while their cult-classics bronzer in Laguna and highlighter in Albatross give a beautiful holiday glow. Top it off wit the mini pink glacé lip gloss in Istria and you’re ready to roll. 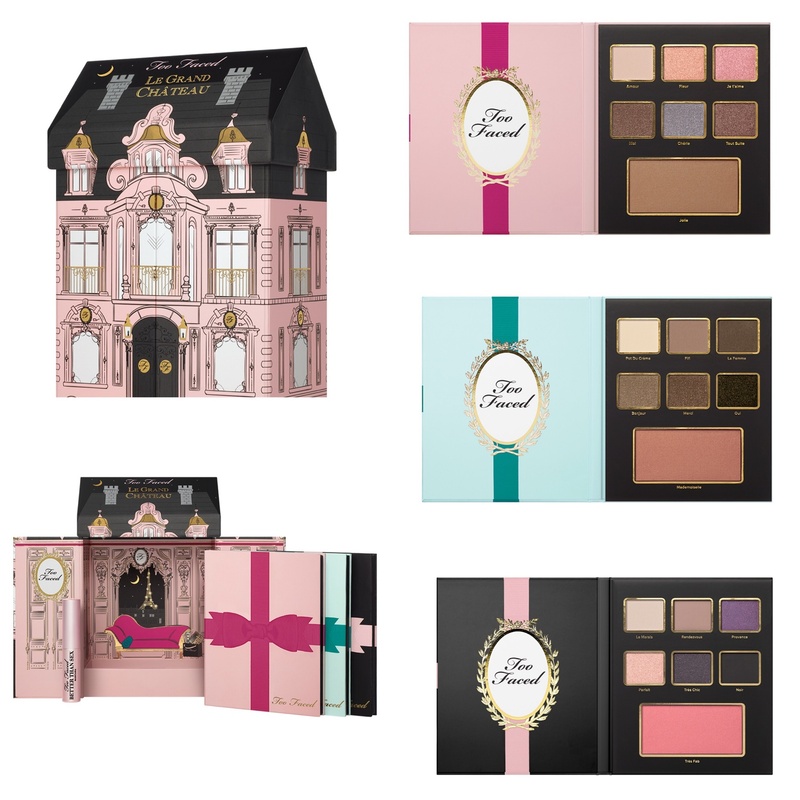 Adorably chic and ultra-covetable, this little château houses three separate palettes that suit a specific mood or look. Inspired by Paris’ eternal glamour, each palette —Paris in Love, Paris After Dark, and Paris Au Naturale — includes six eye shadows and a bronzer or blush each. Tres belle, ma cher! This limited-edition holiday palette oozes luxury — housed in a metallic compact featuring a large mirror, you’ll want to carry this glow-inducing set of six shades with you everywhere. Iconic luminizers, like their best-selling champagne-rose Luminous Flush, mingle beside new soon-to-be classics, like the radiant Iridescent Strobe Light. Who says palettes are strictly for makeup? Inspired by the artist’s palette, these solid perfume blending palettes can be worn alone, blended together, or even mixed and matched with other palettes to create a unique and custom fragrance. Each palette features four similar and complimentary scents, like the Amber Notes Palette and the Floral Notes Palette.